Seriously, what the hell is wrong with us? 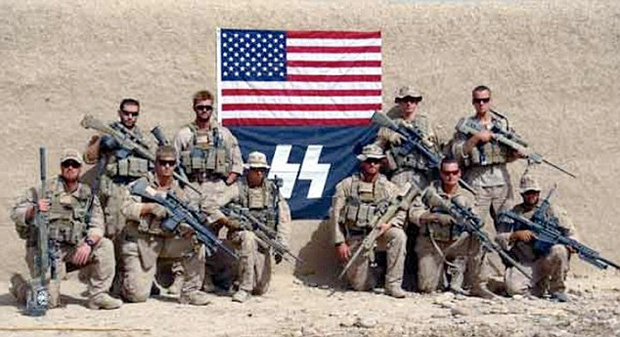 My great-uncle Michael Ray (my brother's namesake) fought in the US Third Army against the Nazis and the SS; this is how we remember that legacy? I am appalled, dismayed, and yes....ashamed to be an American tonight.